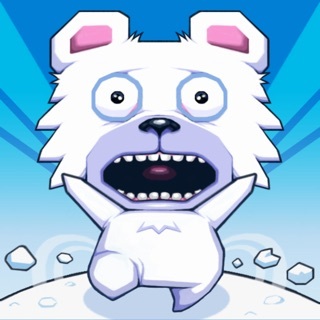 Carve your way through hundreds of levels as you search for the elusive Yeti. 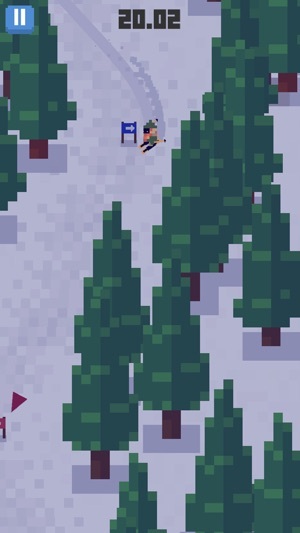 Weave through trees, skid over ice, launch off cliffs and get to know a cast of bizarre locals in this top-down extreme slalom adventure. All handcrafted for your phone to create the ultimate skiing experience. 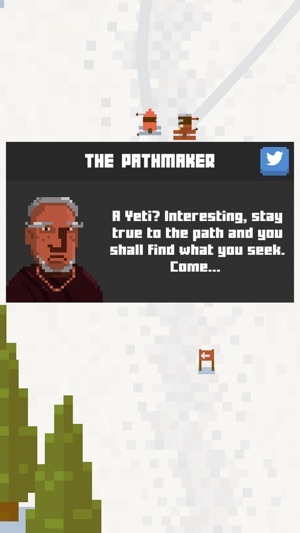 - A Yeti to find? NEEDS A FREE SKI MODE!!! 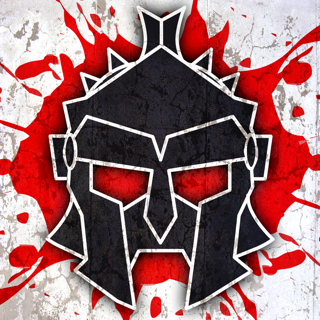 To begin with, I absolutely LOVE this game! Mainly because I ski myself and I love doing it!!! 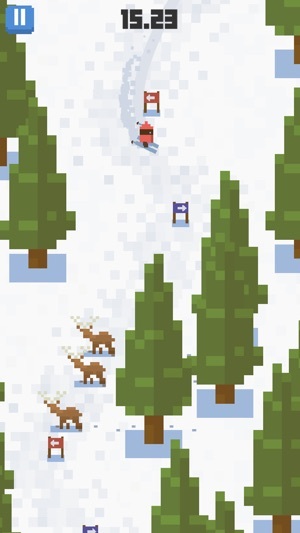 Also it is just this cute little pixelated game that is just like skiing. I love it! It is an easy way to just ski! The way you turn and stuff with only using one finger! And it looks awesome! Like how you drift and there are cliffs to jump. It is awesome! But of course what is the point in writing a review if you don’t have at least ONE pet peeve about SOMETHING. My only pet peeve about this game is the stupid post things you have to go around! I hate that! And I know that is the whole point of the game. And I’m not saying you should get RID of it because it isn’t THAT bad but it would make the game so much more fun if we could just roam a mountain and ski where ever we want! Jump as big of cliffs as we want! Anything! But just PLEASE PLEASE PLEASE add a free ski mode! But of course the levels would still be there too. Because what’s the point of a game if there is no challenge? The levels like challenge mountain and endless or just the normal levels could be the challenges of the game when we needed one. But anyway I would appreciate a big update with this! It would be so much fun to ski where ever and as fast and long as we want! I am sure there are many that also agree somewhat of the sorts. Please consider this! Thank you! Cutest Mobile Indie Game Ever!!! 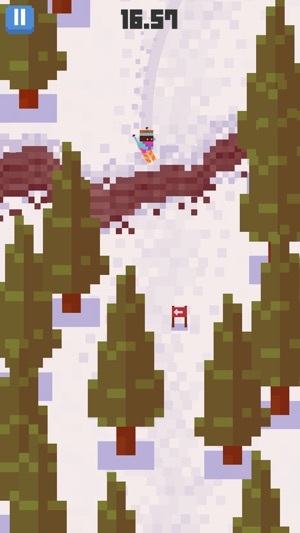 Skiing Yeti does seem to be one of the coolest skiing indie games in the iOS market. 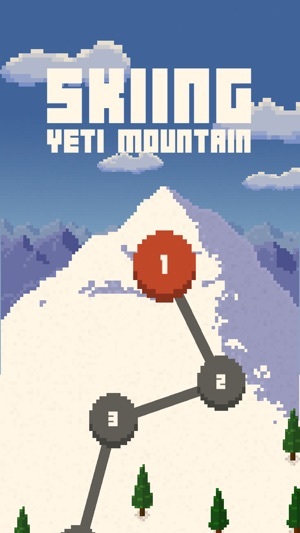 I’ve been playing the beginner level for quite sometime and the challenge increases steadily as there are other modes of the game that challenge you even harder as you go down different mountains. Although, sometimes the game will lag on my iPhone 7 running iOS 11.2.6 but I’m not sure why it would all of the sudden do that. The game I’m playing is up to it’s most updated version which could be why. The game isn't as fast and fluent as it used to be when I was playing it the first two weeks. Other than that, what a great game and story line! !